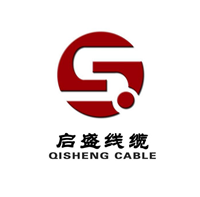 Product categories of Audio Cable, we are specialized manufacturers from China, Audio Cable, Optical Audio Cable suppliers/factory, wholesale high-quality products of Digital Optical Audio Cable R & D and manufacturing, we have the perfect after-sales service and technical support. Look forward to your cooperation! An Audio Cable, referred to as an audio cable, is used to transmit electrical acoustic signals or data. Broadly speaking, there are two major categories of electrical signals and optical signals. The line that the audio cable uses to spread the sound. It consists of two parts: the audio cable and the connector. The audio cable is usually a two-core Shielded Cable. The common connectors are RCA (commonly known as lotus head), XLR (commonly known as card head), and TRS JACKS (commonly known as plug head).